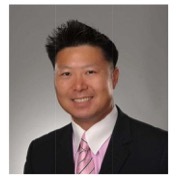 Michael Yu, the founder of Michael Yu CPA, Inc.
Kenneth Yu, a junior partner of Michael Yu CPA, Inc.
Michael A. Yu has over 25 year experience in accounting, finance, taxation and investments in various domestic and multi-national companies. Michael is a California licensed Certified Public Accountant (CPA), he had co-founded MAJ Accountancy Corporation and Michael Yu CPA, Inc., a professional CPA firm in domestic business, non-profit and cross-boarder investment consulting and taxation. Michael also served in Advisory Board of a non-profit university. He had worked as senior financial consultant of BBV Ventures, an international investment group based in Connecticut and California. Prior to that, he had worked as CFO for Corelogic in Redwood City, California and Zaccess Systems in Beijing, China. Michael started his professional career with National Semiconductor as a financial analyst to coordinate financial operations of Asia, Europe and South America subsidiaries. Kenneth Yu is a California Licensed Certified Public Accountant (CPA) who obtained his BA in Accounting from California State University, Fresno and holds and MS in Taxation from San Jose State University. His specialties include assisting international start-up companies with accounting and tax needs, helping international investors with tax planning and compliance. He has extensive experience working with high net worth individuals and privately held companies including companies in high-tech and farming industries. He had worked as senior accountant of PP&CO, a local mid-size CPA firm based in San Jose. 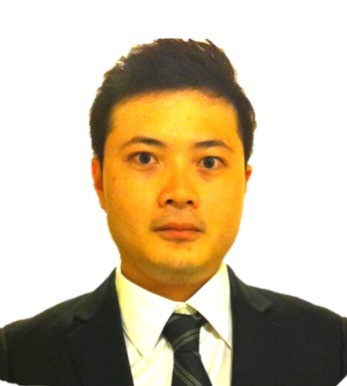 Kenneth was member of International Tax Group when working at PP&CO. Prior to that, he had worked as internal tax accountant for Intuit Inc, a Fortune 500 company. He started his professional career with Superior Farm Inc as accountant. Joe Kuo serves as Divisional Vice President – AIG Financial Network | AIG Financial Distributors. In this role, he is responsible for developing and implementing innovative sales and field leadership strategies to increase AIG’s presence in the Asian markets. Prior to this position, Joe was Vice President and head of Advanced Markets for AIG Life and Retirement. He supervised a team of attorneys, accountants and financial advisors and was responsible for developing innovative advanced marketing strategies, including building campaigns and sales concepts that properly positioned life insurance solutions for small business planning, estate planning, supplemental executive retirement funding and other advanced marketing opportunities. Before joining AIG, Joe acted as Executive Director for MetLife/New England Financial Group. 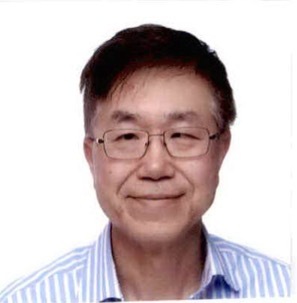 There, he designed and implemented the company’s recruiting and training program for Asian financial advisors and managers, developed home office distribution and implementation systems for local branch offices, and supervised national marketing and advertising campaigns. Joe was also associated with New York Life Insurance Company serving as Corporate Vice President/Senior Executive Advisor. Joe was also a Director, Product Merchandising and Advanced Case Design for the Broker Dealer Group of American General Financial Group. Additionally, Joe was a former Estate Planning Counsel and Independent Financial Advisor for The Executive Compensation Group and served as Associate Attorney, Estates and Trusts Services Group for Salomon Smith Barney and as Associate Attorney with The AYCO Company (A division of Goldman Sachs Group, Inc.). Joe earned his bachelor’s degree with honors in political science from Binghamton University and earned his Juris Doctor with honors from Albany Law School. He holds both FINRA Series 7 & 63 licenses, Texas Life, Health and Disability license and is a member of both the New York and New Jersey State Bar Association.